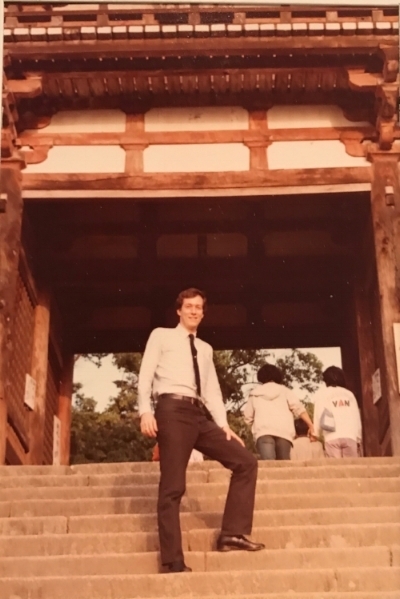 Alan Hershey was a Youth for Understanding exchange student in Japan in 1974 at the age of 16. The experience had a profound impact on his life, inspiring a career in international banking that brought him back to Asia dozens of times. Fluent in Japanese, Alan cherished relationships with his host family that he kept in close contact with, his clients all over the world, and shared his passion for Japan with his kids who grew up visiting the country every year since they were born. Following in his footsteps, his daughter Caroline was a YFU exchange student in Osaka in 2008 and son Brian in Chiba Prefecture in 2010. Alan's passion for travel and intense curiosity about the world inspired his mission to visit all 192 countries. He made it 136. On October 22, 2017, he died suddenly doing what he loved while exploring an ancient city in Uzbekistan. Donations in honor of Alan will go towards setting up a scholarship fund for high school students to participate in a YFU exchange program in Japan.